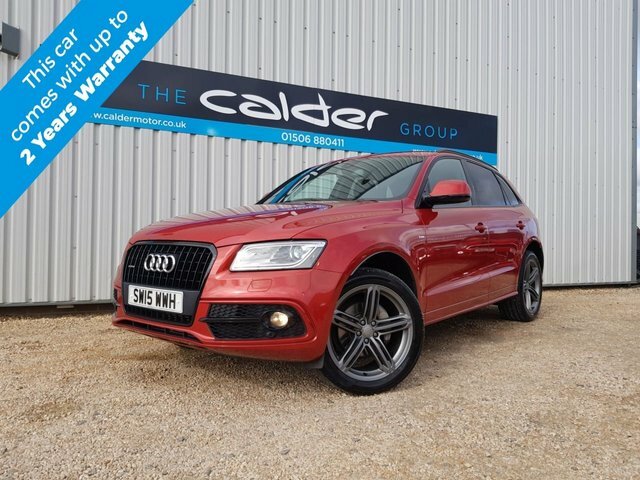 SIMPLY STUNNING PETROL Q5, FINISHED IN VOLCANO RED METALLIC WITH THE BLACK STYLING PACK. THIS CAR HAS ONLY HAD ONE FORMER KEEPER WITH A FULL AUDI MAIN DEALER SERVICE HISTORY ( LAST DONE JUST 1000 MILES AGO ) WITH 6 SERVICES CARRIED OUT! THIS CAR HAS A LOVELY SPEC INCLUDING ADAPTIVE CRUISE CONTROL, DRIVER ASSISTANCE PACK, ACTIVE LANE ASSIST, AUDI BRAKING GUARD, SATELLITE NAVIGATION, DAB RADIO, ELECTRIC SEATS WITH MEMORY AND ELECTRIC LUMBAR SUPPORT, HEATED SEATS, 20" ALLOY WHEELS WITH ALL MATCHING TYRES, PRIVACY GLASS, BLACK ROOF RAILS, POWER TAIL GATE, ELECTRIC HEATED AND FOLDING DOOR MIRRORS, AUTO XENON LIGHTS WITH LED RUNNING LIGHTS, LED INTERIOR LIGHT PACKAGE, AND LOTS MORE. SIMPLY STUNNING Q5 FINISHED IN ONE OF THE BEST COLOUR COMBOS. TWO KEYS, FULL BOOK PACK, FULL MAIN DEALER SERVICE HISTORY. Boasting coupé-like styling combined with an elevated driving position, spacious interior and plenty of ground clearance, the Audi Q5 is the perfect vehicle for drivers who require a car that's as flexible as they come. As much at home in the countryside as it is in the middle of a city, the Q5 is designed to fit in with your lifestyle. 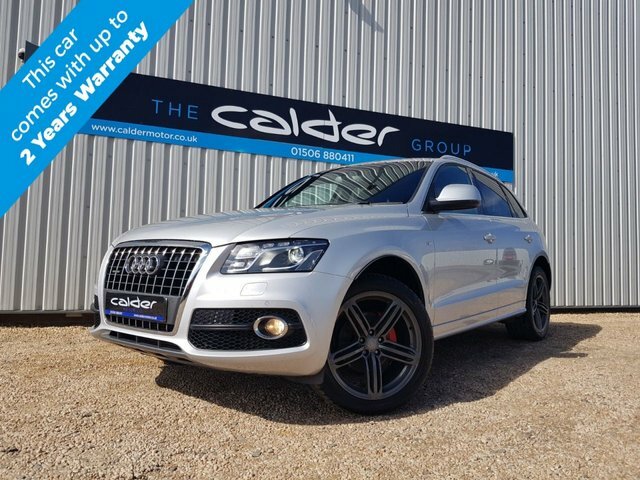 Why not come and test drive one of the used Audi Q5 models for sale in West Lothian at Calder Motor Co Ltd? We have pre-owned vehicles to suit all budgets and you can be sure of finding a model that meets your requirements. Feel free to contact a member of the team by phone, online or in person to find out more.